Rosamond grew up in the South of England, enjoying a childhood set against the idyllic backdrop of the New Forest and the Dorset coastline. Inspired by her grandmother and mother, both keen artists, her love of nature and an insatiable desire to create, Rosamond’s artistic endeavours were met with success from an early age, in art and design competitions at local and national level. It was a natural progression for her to combine her love of art and model making in particular with the theatre, in the study of set and costume design at London University, part of her Honours Degree in English and Drama. Her graduate career began in radio but it was a move to the countryside that provided the impetus to return to her first love of art. After gaining a place at art school to study illustration, Rosamond began to work from her home studio, undertaking various commissions, ranging from children’s story illustrations to intricate medical drawings for publication, while simultaneously pursuing a family tradition, studying Law. After being asked to undertake a number of design commissions involving model making it became increasingly obvious that Rosamond’s heart and true creative ability was in capturing a subject in three dimensions, whether from life or imagination. This was confirmed by an apprenticeship to a bronze sculptor, learning the traditional skills involved in working with clay and wax and observing the intricate and ancient processes of mould making, casting and finishing at first hand. Rosamond currently divides her time between her studio in Hampshire and her foundry in Stroud. She has established a reputation as one of the UK’s leading wildlife sculptors and is widely featured in both national and international press. 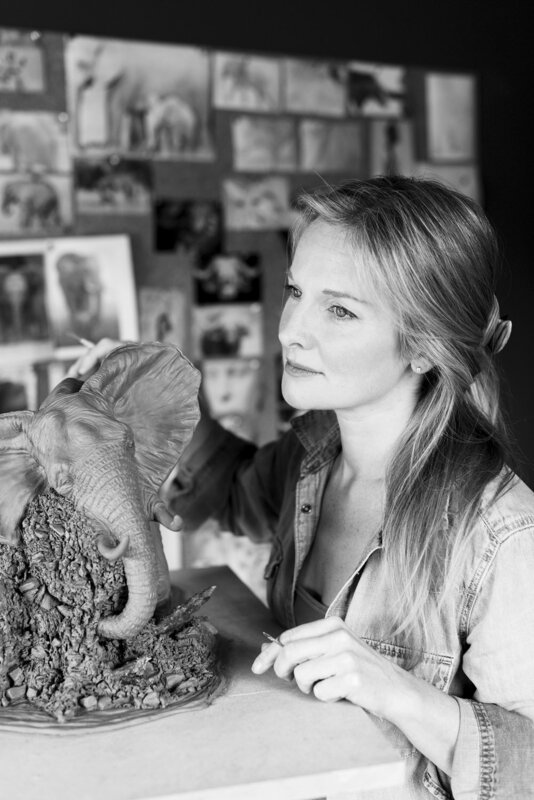 Rosamond has been invited to demonstrate and conduct sculpture masterclasses at Art in Action, the UK’s largest festival of master craftsmanship and was nominated for the David Shepherd Wildlife Artist of the Year in 2011. Her work has been exhibited at a range of prestigious venues including Claridges, The Mall Galleries and The Royal Geographical Society to name a few. After a period spent in Zambia on a research trip she staged her London show ‘Bronze, Black & White’ in 2013 at The Royal Opera Arcade Gallery, Pall Mall, in collaboration with award winning wildlife photographer, David Lloyd (no relation). The exhibition showcased Rosamond's African wildlife collection. In 2014 Rosamond was proud to be invited to become the affiliated sculptor to Tusk Trust, whose Royal Patron is HRH The Duke of Cambridge and in 2016 she collaborated with best selling author, photographer and explorer Levison Wood in their highly acclaimed London show Visions of Africa, supported by Flight Centre, IWC Watches, Craghoppers and Leica Cameras. Sales of Rosamond's African Wildlife collection continue to raise funds for Tusk's global conservation projects. Rosamond is proud to be the affiliated sculptor to Tusk Trust. 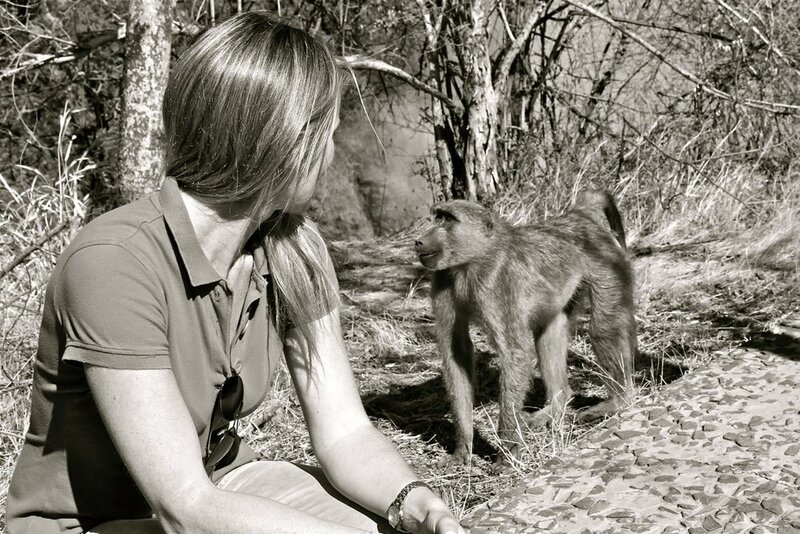 She is passionate about conservation and has supported Tusk generously through the sale and auction of her sculpture. Rosamond undertakes commissions and can work to any scale. 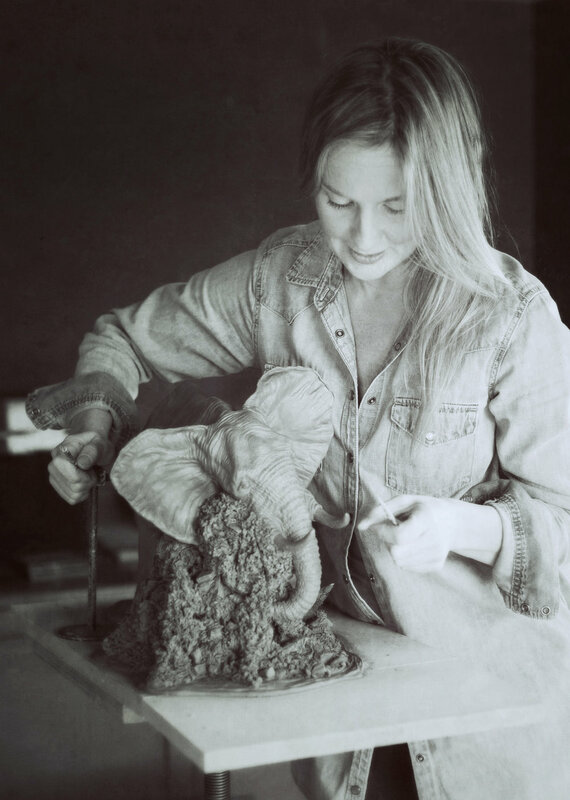 Her sculptures are cast in one of the UK's leading foundries. Current works with edition availability.